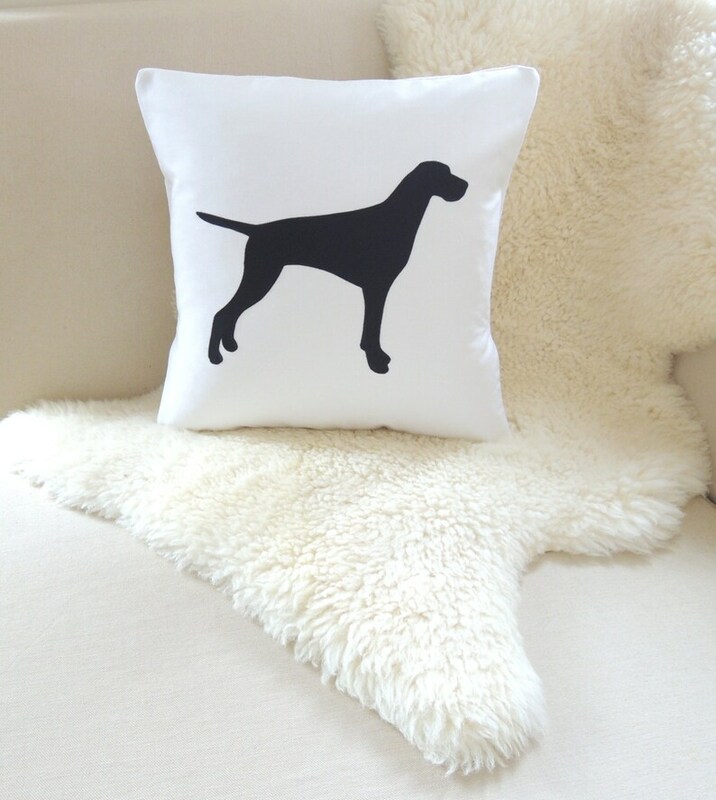 This polished pup looks fabulous on a sofa, in a chair, propped on a bed, greeting guests on an entryway bench or anywhere else you can imagine. A facing pair makes a striking statement placed on the ends of a sofa or sitting pretty individually in a pair of chairs. Choose the background in white or flax beige. Customize the Pointer in black, charcoal gray, ivory, chocolate brown or navy blue. 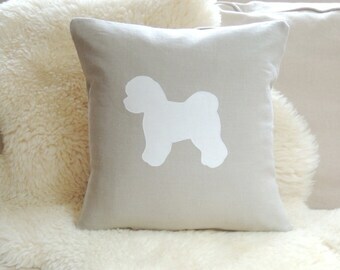 English Pointer Pillow Cover © Vixen Goods. All rights reserved.